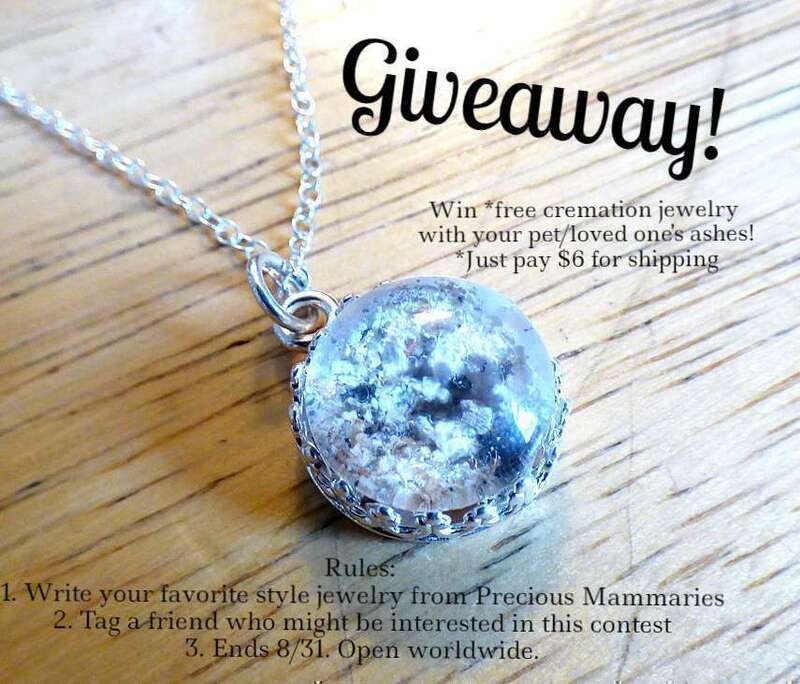 Win FREE Memorial Cremation Ashes Jewelry! Win FREE Memorial Cremation Jewelry! 2. Tag a friend (or friends!) who might be interested in joining this contest too or who might want a memorial piece done. 3. You can enter as many times as you can with different tagged friends for each entry. 4. Ends August 31, 2018 and is open to all, US and international.